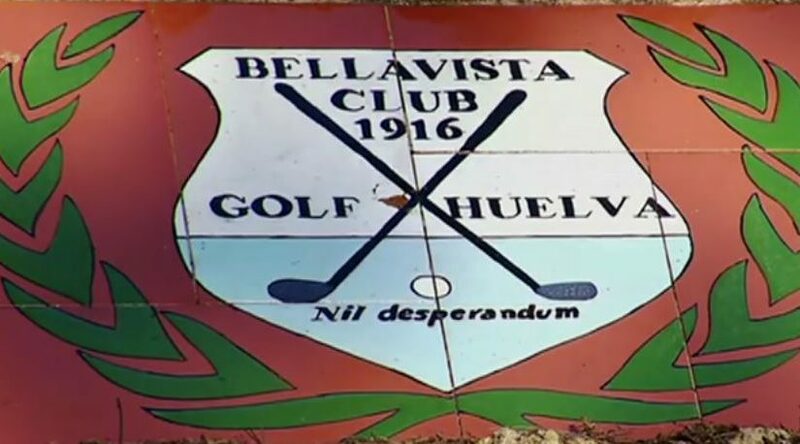 Bellavista Golf 18 hole course. Bellavista Golf Bellavista a 18 hole course 6 Km west of Huelva city. On the southerly end of the Costa del Sol. Bellavista Golf Course, situated at a short distance from the sea, offers a great golfing challenge to all levels of golf players, with narrow fairways and a few doglegs. Among its most difficult holes, number four stands out which requires a good drive in order to leave the ball near the green with a good second shot. Suitable local Accommodation in this area near to Bellavista Golf Huelva. 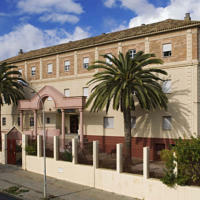 The modern Albergue Inturjoven Huelva is situated near Moret Park, around 600 m from Huelva Cathedral. It offers both shared and private rooms, all with air conditioning and en suite bathroom. Rooms at the Inturjoven Huelva Youth Hostel are bright and functional. They are set around an attractive interior courtyard, built in a typical Andalusian style. Popular now! 29 other people are looking at this moment. Barceló Punta Umbría Beach Resort is a resort set 200 m from Punta Umbria Beach. It features 2 large outdoor swimming pools, a spa and a selection of restaurants. Featuring free WiFi throughout the property, the Punta Umbria Resort offers stylish décor and its air-conditioned rooms are comfortable and bright. All rooms have satellite TV and a minibar. Most have views of either the pool area, or Los Enebrales Nature Reserve. This resort has 4 buffet restaurants, serving a range of Mediterranean and other international food. Guests can enjoy a drink in one of the resort’s 6 bars located in the lobby and pool areas. Gluten-free meals are available upon request. The spa and wellness centre has a thermal circuit including an indoor pool with water jets, heated loungers and contrast shower at an extra cost. There is also a large gym. Treatments available include massages and hydrotherapy at an extra cost. Pato Amarillo is 70 m from Punta Umbria Beach, 20 minutes’ drive from Huelva. Set in gardens, it offers free Wi-Fi, 2 outdoor pools and rooms with a private balcony. The air-conditioned rooms at Hotel Pato Amarillo come with a flat-screen TV, safe and minibar. The private bathroom is equipped with a hairdryer. The hotel’s buffet restaurant offers show cooking. There is also a café with a terrace, and a snack bar with live music. The barbecue restaurant opens in summer months. There is a games room with billiards, and the hotel has a children’s playground and mini-club. We have a 24-hour reception and a tour desk. On-site parking is available for an extra charge. Nuevo Portil Golf Course is 10 minutes’ drive from the hotel, and the Portuguese border is 40 minutes away. 501 Excuses for a Bad Golf Shot (501 Excuses). 1. A drop of sweat fell in my eye, and I missed the ball. 2. I stubbed my toe on the base of my bed, now I can’t wear my golf shoes. 3. I’ve only played with these clubs twice. 4. My rain suit is too tight and I can’t swing my club smoothly. 5. My ball is all scuffed up. 6. I keep picking up my head. I’m afraid the geese are going to do their business on me. 7. The tee was leaning too far forward. 8. I get nervous shooting last all the time. 9. The sun was in my eyes. 10. I thought we were using the green over there. Anyone can hit a great shot and brag; the challenge is to shank a tee shot and still make your buddies laugh. This hilarious books is an absolute must for any golfer. And you need not be a golf enthuasist to enjoy this book. It makes a great gift for any golfer, and is a must for every golf bag! Spain Info Bellavista Golf San Francisco De Asis, Urb Marina, San Fulgencio, 03177, Alicante, Spain.